Today I'm going to be sharing some at-home spa tricks for your Summer skin. Let’s take a half hour and treat ourselves to some much deserved relaxation. Summer is here and who isn’t loving all this heavenly sun?? However, after a long winter our skin needs some TLC to achieve and maintain that summer glow. With all the sunscreen, heat, and humidity, Summer can quickly turn your dewy look into oily, dull skin. Skin needs to breath after being covered and protected. 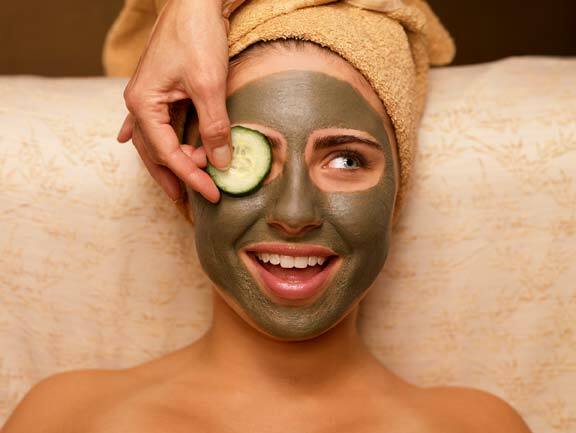 Luckily today we will be discussing some at-home tricks to soothe your skin. I love this recipe for body and hands after working in the garden. This ultra-moisturizing scrub leaves your skin soft without even using lotion. Exfoliating helps get rid of any rough, dead skin on your hands or soles of your feet. Adding lavender essential oil makes a calming and therapeutic blend which researchers have shown can help in lowering blood pressure and heart rate. This is also a favorite hostess gift I love to bring to a 4th of July BBQ! Directions: Combine sugar, olive oil, coconut oil, and lavender essential oil in the mason jar. Stir well to combine. Add more oil, if necessary. The summer months mean that it’s even more important for your skin and your body even to stay hydrated. Keep a bottle of cool fresh, filtered water handy to sip from throughout the day. I know water alone sometimes gets boring so add some lemon slices, cucumber, mint, basil, or oranges to spice it up. Freezing sliced fruit is the perfect way to keep your water cool and flavorful. Water keeps your system clean, plumps your skin cells, and helps keep it moist and fresh. Staying hydrated can also aid in weight management, keeping you feeling alert and refreshed all day long. Another moisturizer I recommend is honey. Honey has natural antibacterial/soothing properties for your lips when they are feeling dry from too much sun. Put a few drops of organic honey on your lips and let it dry. If they are extra dry, add a nice layer of organic lip balm on top. Fill in your brows with liner or shadow. Then use a dab of moisturizer with your concealer. Next use Sea Glass on your lids, adding a thin eyeliner into your upper lashes. Finish your look off with mascara, bronzer, and Soul Mates lip gloss. BONUS: Use promo code PRIDE to receive a free lipstick or lip gloss with any purchase!